This blog takes a closer look at a selection of cutting–edge restaurants where chefs, designers, and architects have collaborated to bring together extremely creative approaches in a bid to offer customer multi–layered dining experiences. 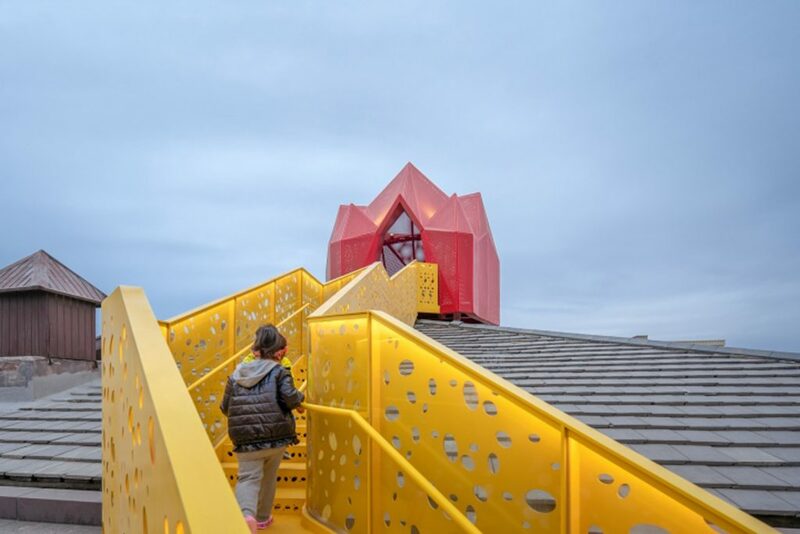 Commissioned by Aranya in Qinhuangdao, China, Neverland (above) is a new experiential restaurant for kids. Designed by Wutopia Lab, which offers magical reality dining within a series of fantastical spaces. Wutopia Lab is an architectural practice, which uses rich imagination and exaggerated artistic techniques to create illusionary architecture in everyday settings. The Neverland restaurant is a renovated clubhouse containing 1,000sq m of discovery for kids. There’s a circular dining hall and two private–hire dining rooms, while a grand staircase leads to a starry ceiling playground containing a magic–mirrored, sculptural playscape of slides, trampolines, and mysterious picture book areas bordered by themed bathrooms and bubble trees. The architectural pinnacle of the entire restaurant is the staircase which leads up to the roof and into a red flying house. 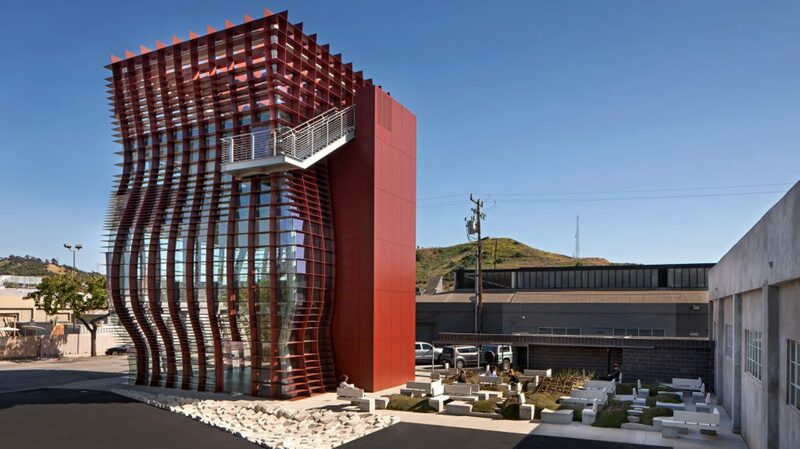 The Vespertine restaurant, recently opened in Culver City California, is a collaboration between architect Eric Owen Moss and the visionary chef Jordan Kahn. Within the twisted, geometric, gridded steel and glass tower, this boutique restaurant invites guests to explore fine dining through a series of spacial, textural, smell and sound experiences. Both food and architecture are woven by the sculptural forms and diners ‘flow’ through a series of spaces with an intricately curated, 21–course meal that is presented as part of their multi–sensory journey. Here’s a glimpse of what to expect. Meanwhile, the recently–opened Whimsy restaurant in Kuala Lumpur, is collaborating with Michelin-star chef Nathalie Arbefeuille to bring a new experience to Malaysia’s culinary landscape. Whimsy offers a fusion of art and flavours, where gourmet food is presented to guests in a state–of–the art, virtual environment as diners are surrounded by projected landscapes, animations and augmented realities which create a fantastical journey infused with sounds, smells and tastes.